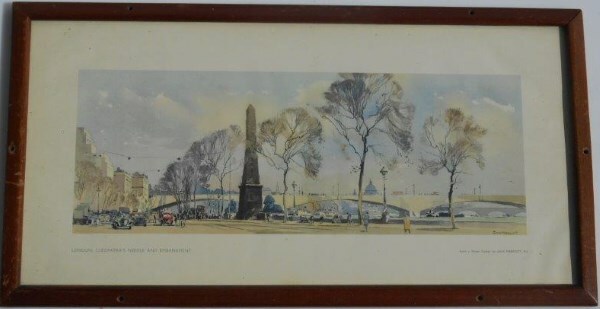 Lot 109 Framed and Glazed Carriage Print "LONDON CLEOPATRA'S NEEDLE AND EMBANKMENT". By Jack Merriott. VGC.